In view of the importance of the EU for Africa as a prosperous model of regional economic integration, and notably for the East African Community (EAC), which is considering measures to establish free circulation between its five member states (Burundi, Kenya, Rwanda, Tanzania, and Uganda), but which also faces a challenge with refugees coming essentially from Somalia, events currently taking place in Europe are of great significance. Before thinking of the feasibility of setting up an East African ‘Schengen’, it is worth looking into the European model of free circulation, its strengths, weaknesses and limitations. Abolishing borders has been one of the emblematic achievements of the European project, and free movement one of the dynamics of European prosperity. The dismantling of internal borders among Schengen participating countries was backed up by a strengthening of external borders. Art. 25 of the agreement allows national authorities to re-establish border controls temporarily in exceptional circumstances, for a period of time limited to ten days, which can be prolonged up to two months. The current reintroduction of controls on several internal borders of the EU is therefore not the beginning of the end of the Schengen agreement, but rather a procedure faithful to the letter of the agreement. Germany’s step towards reintroducing border controls in the aftermath of some chaotic scenes at train stations and reports of bed shortages at refugee camps is more an attempt to process refugees in a more orderly fashion and better identify those deserving of help than an attack on European principles. This came after Germany reasserted important European values and Europe’s international commitments to host refugees, particularly those coming from war zones. Notwithstanding this, tensions between member states, overwhelmed by the scale of refugees in search of a safe haven, have put Schengen‘s principle of free movement under strain, revealing not only lack of solidarity towards member states more exposed geographically to the refugee crisis than others, generosity on the part of Germany, Sweden and a few others, but also very different attitudes in East and West towards proclaimed European values. 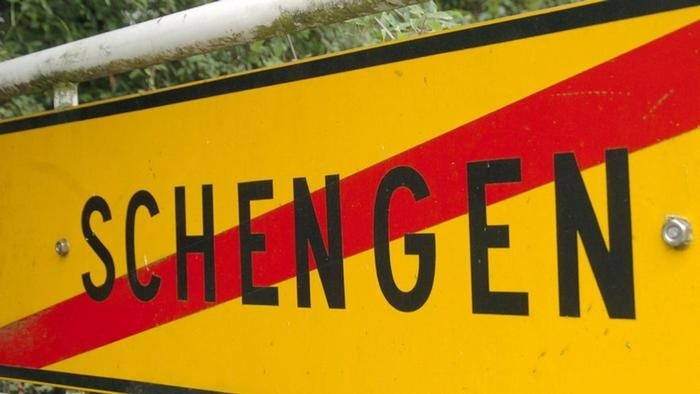 The reason why Schengen is questioned today is not Schengen per se, but rather the weakness, or lack, of policies that should have been adopted or consolidated to accompany Schengen and make it work better. Does Europe have a coherent EU asylum policy? No. Does Europe have a European police? No. Is the EU agency Frontex sufficient to guarantee European border management? Clearly not, in view of human tragedies in the Mediterranean and of the Hungarian reaction to the afflux of refugees, to cite only two examples. By the end of the year the EU Commission will at last propose measures to set up a European corps of border guards to consolidate Frontex, which coordinates cooperation between national border guards on external borders to prevent illegal immigration, terrorist infiltration and human trafficking. Does Europe have a real foreign security and defence policy capable of stabilizing its close neighbourhood? No. Its Eastern and Southern Neighbourhood Policy is in shambles. Europeans assumed that they would be able to enjoy a common area of freedom, in which people, goods, labour would circulate freely, whilst keeping most features of their national systems. Today, Schengen is the collateral victim of member states’ lack of a coherent vision. The so-called four freedoms – the free circulation of goods, services, capital and labour – can only work efficiently with a set of rules and policies at supranational level. Inward-looking attitudes will not solve the challenge Europe faces in view of the extent of Africa’s migration potential. In areas where European integration is more advanced, where Europeans share the same currency, a common market, the freedom to trade, work and travel across this market, full sovereignty belongs to the past. Without sharing more sovereignty, all these envied attributes can be threatened by crises such as the Eurozone sovereign debt crisis and the migrant crisis, none of which, surprisingly, Europeans anticipated. As is often the case in Europe when populists spot imperfections in the way that a new European framework has been designed, Schengen has been presented as a threat to internal security. And yet, to make up for the abolition of internal controls, member states are expected to cooperate in order to maintain a high level of security. First, by exchanging information to fight borderless organised crime and terrorism. Second, by intensifying policy cooperation. Finally, by using the Schengen Information System (SI). 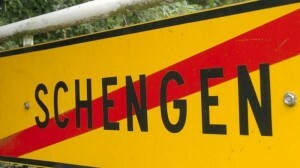 Schengen is by no means a ‘wide open door’ to illegal migrants. Indeed, the Dublin agreements require the country of arrival to register migrants, take fingerprints, and consider their asylum application. But in the wave of current flows of refugees, this rule has reached its limits. Nonetheless, it is not in the Europeans’ interest to dismantle the Schengen area and the freedom that it provides to EU citizens. However, this joint public area has to be managed by joint public action. What lessons can be drawn by the EAC in the light of European developments? First, that free circulation leads to more wealth and not the opposite. All economists agree on these great advantages, a consensus rare enough to be called exceptional. Second, that an agreement on free circulation implies not only benefits, albeit significant ones, but also constraints in terms of sharing sovereignty in areas hitherto regarded as national prerogatives. Third, that any weakness in the design of the free circulation agreement is, one day, subject to a random shock that tests its resilience. This happened with the Eurozone. This is now the case with Schengen. Schengen’s survival will depend on EU member states’ ability to consolidate its design and back it up with more integrated policies in the fields of asylum, police and border management, foreign security and defence, particularly with regard to stabilizing the EU’s neighbourhood. More generally, any step towards integration, whichever area is concerned, requires sharing sovereignty. This will be a substantial challenge not least for EAC member states, but one which will potentially bring the shared reward of increased prosperity for each and for the region as a whole. Moses Onyango is Director of the Institute for Public Policy and International Affairs at the United States International University of Nairobi, Kenya, and a Fellow of the African Leadership Centre, King’s College, London. Jean-Marc Trouille is Jean Monnet Chair in European Economic Integration at Bradford University School of Management, UK. This entry was posted in Current Affairs, Global & International, The EU and tagged East African Community, refugee crisis, Schengen. Bookmark the permalink. Next: Central Europe and China: what does the next generations of leaders think?